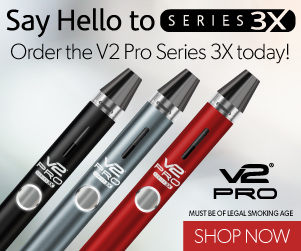 If you’re a new e-smoker, the terms “propylene glycol” and “vegetable glycerin” may not have entered your vocabulary yet. As soon as you begin to shop at one of the many boutique e-liquid suppliers doing business today, though, you’re going to see these terms frequently. It’s wise to understand what e-liquid vendors are talking about when they discuss “VG” and “PG,” because these two terms can have a drastic effect on your e-smoking experience. An e-liquid needs a carrier to work properly. The carrier holds the nicotine and flavors in suspension and turns to vapor quickly when heat is applied. These are the jobs that propylene glycol and vegetable glycerin perform in e-liquids; PG and/or VG make up the bulk of what every e-liquid contains. Both are essentially non-toxic to humans, carry flavors well and emulsify easily with other substances. The most important thing to remember about PG and VG is that both are considered “Generally Recognized as Safe” for consumption by the FDA, so you’re already consuming them in processed food and applying them to your skin in the form of cosmetic products. However, you’re probably not inhaling them. The lack of research regarding the inhalation of PG and VG is something I discuss in my article about e-cigarette pros and cons. Compared to vegetable glycerin, propylene glycol is thinner and has less flavor of its own. An e-liquid containing all or mostly PG may work better in e-cigarettes such as the eGo-Tank, which require the liquid to travel through a very small opening to reach the heating coil. When used on its own, PG produces a vapor with a somewhat thin mouth feel. In general, an e-liquid comprised entirely of PG may have slightly better defined flavors than an all-VG e-liquid. On its own, vegetable glycerin tastes a little sweet. In an e-liquid, therefore, you may find that it makes certain flavor notes a little difficult to detect. In addition, VG is also a bit thicker than PG, so the vapor it produces is a bit thicker as well. As a result, you may feel as though a VG-based e-liquid produces more vapor than a PG-based e-liquid. PG vs. VG: Which is Better? Otherwise, for most e-smokers, the ideal e-liquid contains a combination of both PG and VG. I like Black Note, a company that uses a 50-50 blend of VG and PG. The thickness of the VG increases the perceived amount of vapor produced, while the PG increases wicking speed and enhances flavor definition. You’ll have to experiment to find the mix that works best for you, but many e-liquid vendors use about 80 percent PG and 20 percent VG, which works well for most people. Propylene glycol and vegetable glycerin are both humectants, which means they absorb water. For this reason, it’s wise to stay hydrated while using your e-cigarette.